Does your cycling entourage include two young children? 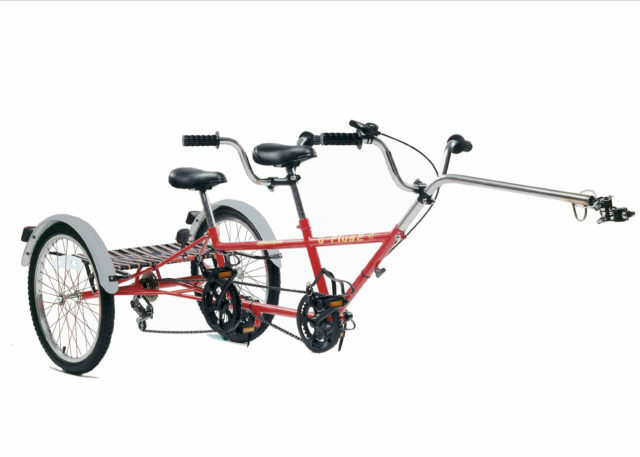 This is a Pashley U Plus 2 tandem trailer-cycle – the Rolls Royce of trailer-cycles, very stable tricycle design, solidly made in Britain by Pashley. Very gently used, in excellent condition. These tag-a-longs are often passed along from family to family – in fact, the manufacturer could not keep up with the used market and discontinued their trailer-cycles, now very hard to find. Located in Mount Vernon (Me.) and would prefer not to ship, as it would require full disassembly – might be able to deliver or meet part way. 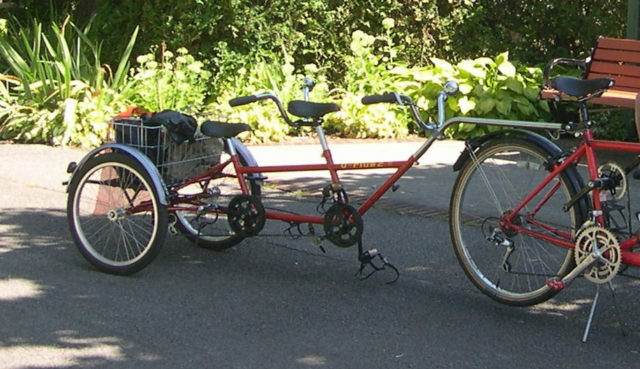 British-made Pashley tandem tag-a-long for two children; attaches to seat-post of towing bicycle (hitch included) by an adjustable chrome-plated steel tow bar; fully brazed steel frame with tricycle rear for maximum stability; 7-speed indexed drivetrain; rear luggage rack with wire basket; 20" alloy wheels with mudguards; junior platform pedals with toe-clips and straps; twin bike bells. Fits children with 19.5" to 27.5" inseam (front) and 17.5" to 22.5" inseam (rear); adjustable handlebars and seat posts. 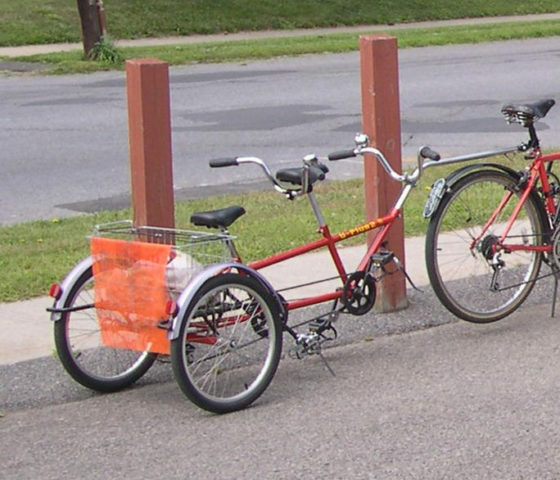 Manufacturer has discontinued their trailer-cycles.